The Woman's Herbal Apothecary is an every woman's herbal care guide for a lifetime of health and wellness. 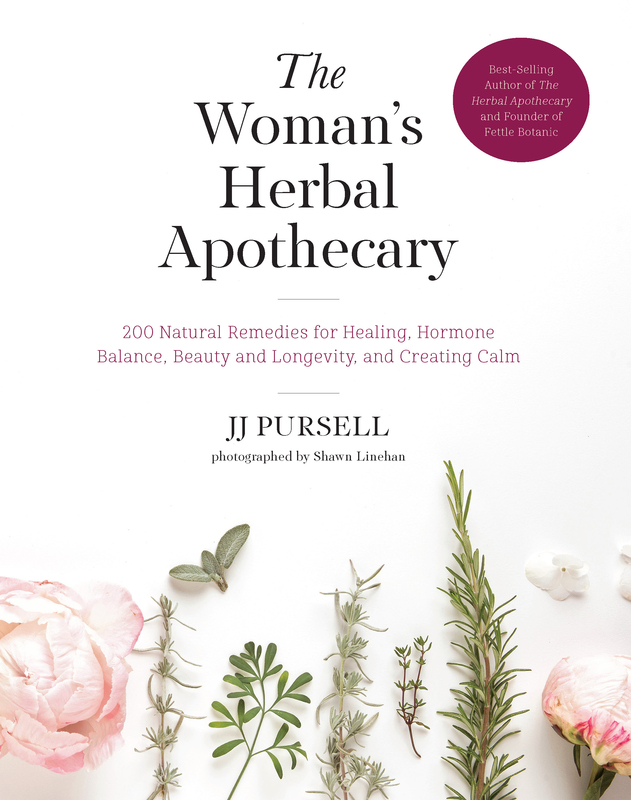 Written to accommodate the novice herbalist as well as the more advanced practitioner, The Women’s Herbal Apothecary is divided by the major cycles of a women’s life: pre-childbirth, reproductive years, menopause, and beyond. Each section discusses physical complaints and how to treat them. You will learn which herbs are the most helpful a phase of life and which are contraindicated or to be avoided. Recommendations for herbal solutions as well as DIY herbal remedies and concoctions specifically formulated by master herbalist and naturopathic doctor, author JJ. Purcell are also provided. The concluding section is divided by common, specific health issues in women, such as cardiac disease, thyroid disease, and adrenal dysfunction. Farmer, Herbalist, Doctor, Business owner, Author, Animal and Earth Activist, Wife and Mama. Purcell opened The Herb Shoppe, which is now known as Fettle Botanic Supply & Counsel. A solo venture turned into a community supported retail business thriving in natural health and wellness.